I love me some CHUCKS!!! Give me heels any day and I am a happy gal....but you know I will rock my chucks any other chance I can get!!! 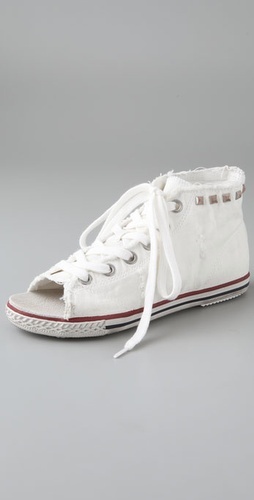 What about these 'almost' Summer-fied Chucks?! Like? dislike? 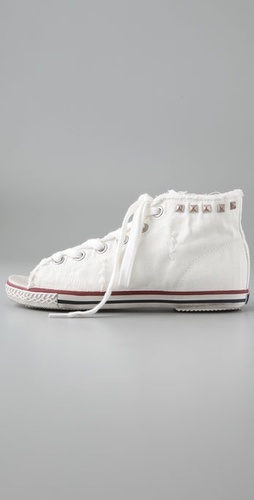 I am on the fence, and no they are not real chucks but they scream the style - and they are pretty funk-tastic. Would you rock 'em? THey are pretty crazy, I am leaning towards a no myself...but there is something fun about them! They are definitely funky but not so sure about showing so much toe cleavage with my chucks!